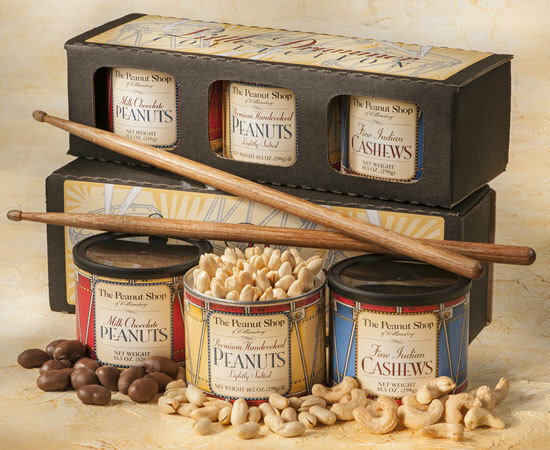 A blend of color and tradition, The Peanut Shop Little Drummer Collection is sure to drum up fond memories of Colonial Williamsburg. The Collection includes Handcooked Virginia Peanuts 10.5 oz. Tin, Indian Cashews 11 oz. Tin, and Chocolate Covered Peanuts 11 oz. Tin.